Golden Crown-beard (Verbesina encelioides) is the most notorious invasive species on the atoll. 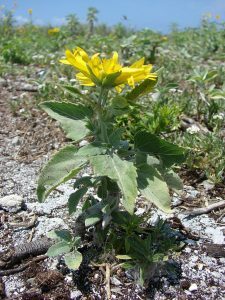 For many years, most of Sand and Eastern islands were carpeted with chest-high, impenetrable thickets of this plant. Although albatrosses like shade, V. encelioides creates such dense cover that the birds have difficulty getting to their nesting sites, taking off, and raising their young. Their wings catch on the branches and the dense vegetation blocks the breeze, creating oven-like conditions for chicks. USFWS surveys established that albatross reproductive success is substantially lower inside V. encelioides thickets. But V. encelioides is also a remarkable success story. With major funding from the National Fish & Wildlife Foundation (and support from FOMA), USFWS began a systematic control program. It will take many years of persistent removal to exhaust the seedbank, but V. encelioides is no longer a dominant land cover on Eastern and Sand Islands. 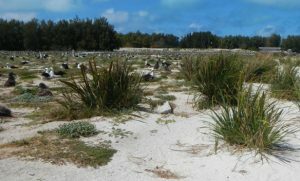 In addition to aggressive control efforts, propagating and outplanting native plant species such as Kāwelu (Eragrostis variabilis) has helped restore prime nesting seabird habitat. The reproductive success rate for Black-footed and Laysan Albatrosses almost doubled in study plots on both Sand and Eastern Islands. 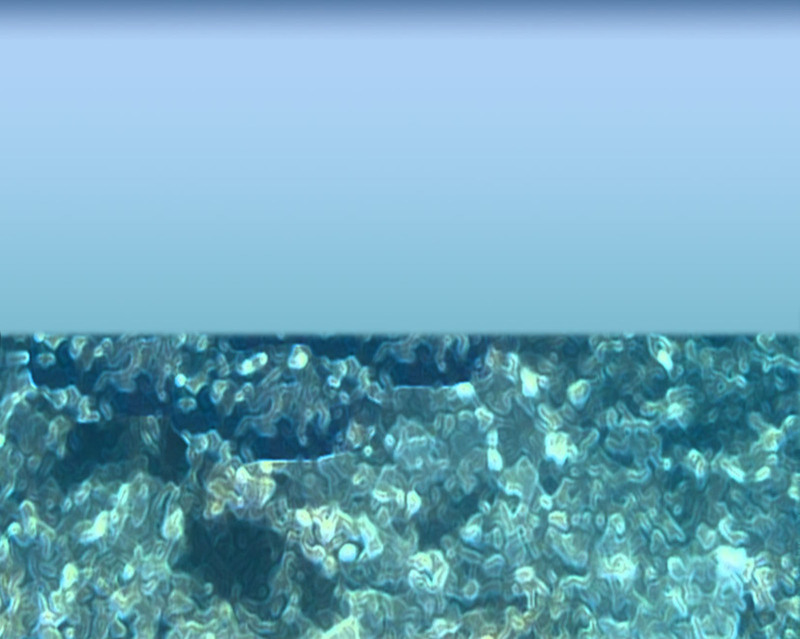 The Verbesina project shows that with sustained effort, invasive species can be brought under control. 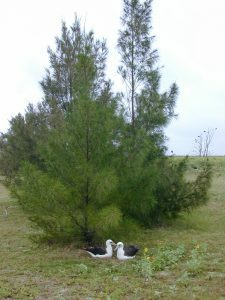 Ironwood (Casuarina equisetifolia) was brought to Midway Atoll for its ability to tolerate coastal conditions and provide wind breaks and shade. Its scale-like leaves resemble pine needles and it can reach 100 feet in height. Unfortunately, Ironwoods can quickly form dense stands that radically alter light, temperature, and soil chemistry regimes of coastal environments; scientists believe the species may use allelopathy (release of toxic chemicals) to displace other plants. On Midway, albatrosses occasionally become snagged by the upper branches of ironwoods and die. These brittle trees are prone to toppling over in high winds, crushing nesting birds below. Control and removal of C. equisetifolia on Midway Atoll NWR has focused on trees that pose a hazard to buildings and on “hot spot” areas to prevent further expansion of the species. 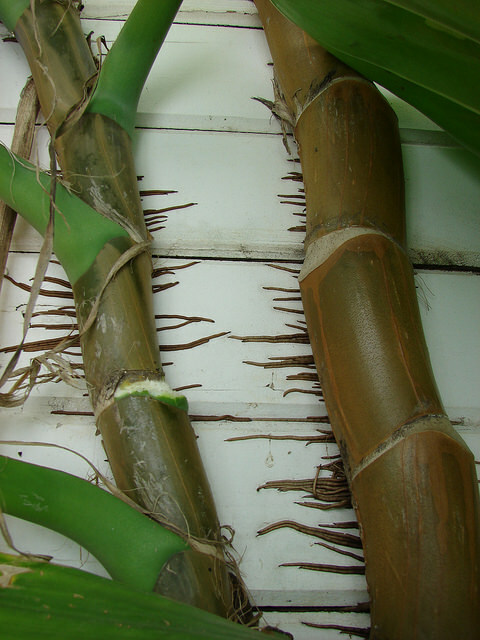 Invasive plants can have economic and cultural impacts in addition to causing ecological harm. An introduced vine called Golden Pothos (Epipremnum pinnatum) is an eradication target in part because of the damage it has caused to buildings and historical monuments on Midway. E. pinnatum is mostly under control, but a few plants have been sighted in the town area on Sand Island. 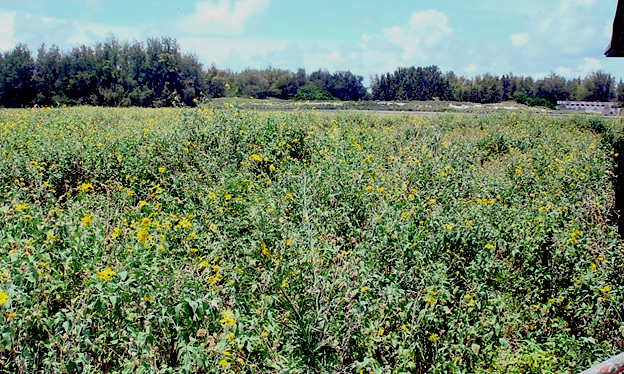 Other invasive plants targeted for control have included Chinese Banyan (Ficus microcarpa), Sour Bush (Pluchea carolinensis), and New Zealand Spinach (Tetragonia tetragonioides). The continued systematic treatment and removal of invasive plants on Midway Atoll NWR will require a long-term commitment of resources – a commitment that is essential to protecting and preserving Midway’s natural and historic resources in perpetuity. 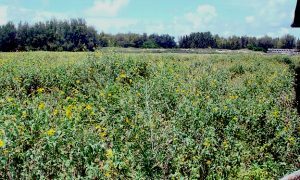 See more photos of Midway Atoll NWR’s plants in our Plants Photo Gallery.